Apple wanted Samsung to pay $9 in royalties per Windows Phone, but what for? In the ongoing saga between Samsung and Apple, documents came out late last night from the court case that detailed a proposal by Apple to charge Samsung for royalties on their smartphones. It’s interesting for a few reasons. For one, Apple almost never enters into cross-platform patent royalty deals with other companies, specifically if it is tied to any of their “product differentiating” technologies. Back in 2010 though, Apple was willing to make an exception to this with Samsung because they are a major parts supplier for Cupertino and they wanted to preserve that relationship. Apple was also “shocked” at just how much Samsung was willing to allegedly copy the iPhone. 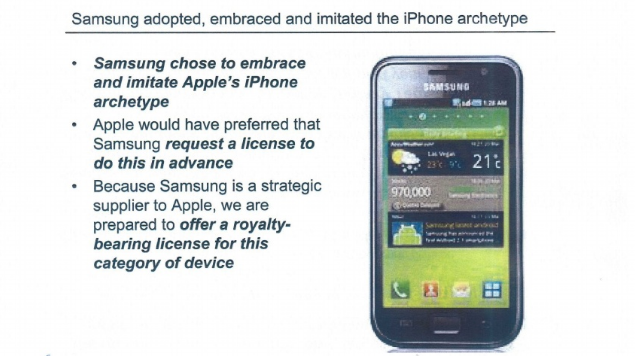 In the documents, Apple spells out some license terms it was willing to offer Samsung back in October 2010—just a few weeks before Windows Phone 7 became available. 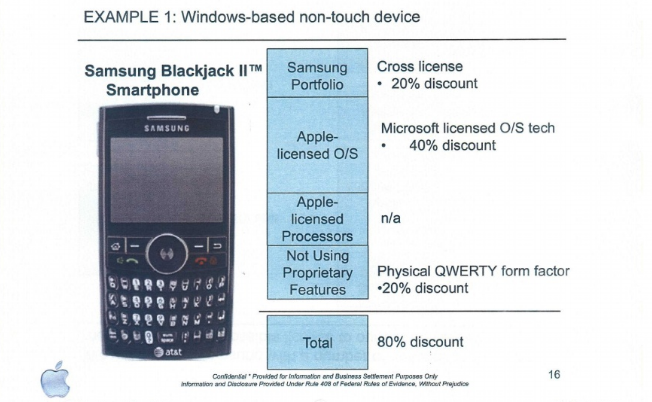 Although Android was offered a $24-per-device royalty fee, which yes, is extremely high, Apple evidently also wanted $9 per ‘Windows Mobile 7’ device as well. None of that is made clear in the documents though so they’re just assumptions on our part. TouchWiz was an issue of contention with Apple since it was used extensively on early Samsung Android phones and yes, it looked quite similar to the iPhone’s main screen (depends on how vague you want to get). 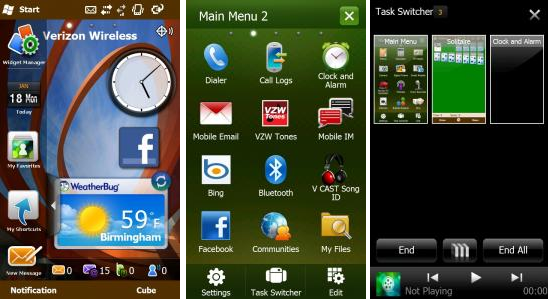 The same interface though was used on Windows Mobile 6 and 6.5 devices like the Omnia II. But Apple specifically mentions the Samsung BlackJack II (later renamed ‘Jack’ because RIM sued Samsung for allegedly stealing their name, not to mention their design). Here the document doesn’t mention what Apple is charging Samsung for, just what they are giving them a “discount” on in the agreement. Samsung would get a discount of 40% for using “Microsoft licensed O/S Tech” because Apple and Microsoft have a cross-licensing agreement in place that goes back to the 1980s. The 40% discount though is completely arbitrary. The third option could be hardware related e.g. the Omnia II looking a lot like an iPhone “slab” design. We used to mock all the Apple clones back in 2008-2009 when Samsung and HTC all of sudden started making large-screen devices. Apple evidently noticed too. (And yes, our site is that old, thank you). In the end, Samsung did not take the “offer” which in all honesty was quite outrageous—remember, Microsoft entered a deal in 2011 with Samsung to collect Android royalties, reportedly at $15 a device, bringing a “free OS” up to a total of $39 license fee per phone. We’re still not certain on exactly what grounds Apple was demanding money from Samsung for Windows Mobile/Windows Phone 7 (this proposal pre-dated the Samsung Focus by a few weeks) but Apple was going after Samsung on Android, Windows and even Bada OS. Samsung does have a reputation for borrowing heavily from its competition. 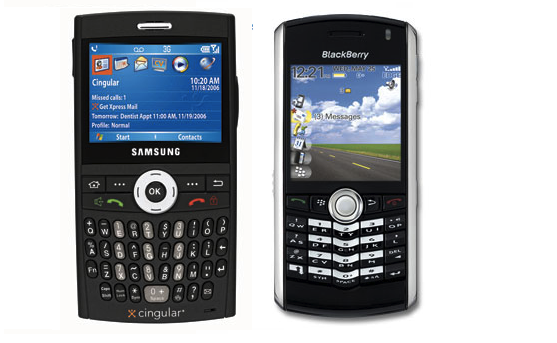 We mentioned earlier how RIM didn’t take to kindly to the ‘Blackjack’ name and when compared to their Blackberry and when Samsung was done with RIM it looks like they moved on to Apple with their Galaxy series which reportedly made Apple’s Steve Jobs apoplectic. Heck, we just noticed on our Samsung Tab 10.1 the screencap sound is the same as on OSX. In the end it will be certainly be interesting to see what happens with Samsung and Apple in court. Apple seems to be on a winning streak lately and if they should prevail, it will be fascinating to see how it carries over to Samsung’s proposed Windows Phone offerings for Windows Phone 8, if at all.